Today I had one of those unique and special experiences that happen around things you quite often take for granted. How often do you get your haircut and think nothing of it? A task to get done. Something to cross off your list that must be done in order to continue living an ordered life…unless you want to be like my brother and go for the hippy look…which I could never pull off with any kind of class or dignity. Anyway, this morning a haircut was on my list and I stepped into Burton’s at the center of Kennett Square. 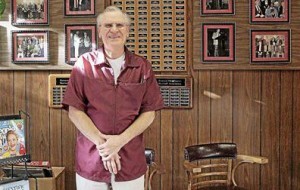 Bob is a member of First Baptist Church but more importantly he is a third generation barber. He gets to the shop around 4am and spends the day getting to know people, building relationships and on the side he happens to cut hair. I was there for over an hour met five people, each of whom Bob called by name and quickly shared a piece of their story. It is clear that the shop is a place where “everybody knows your name”, a community within a community. The walls are lined with all kinds of history, tracing the people and sports teams of the Kennett community. You could spend a few hours looking over the pictures and my sense is that Bob could tell you a story about each image, each artifact which has found its way to the Barber shop. I left with a haircut (item # 1 crossed off my list for the day) and more importantly I felt like I had been somewhere special…with people I could call friend even after spending such a short time with them.